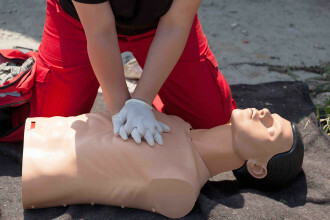 STAC, Sinnott Training & Certification Ltd, is a leading training company focused on First Class First Aid Training. 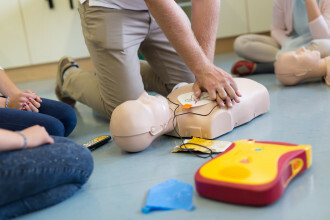 To train Ireland to become world leaders at Saving Lives. Building the confidence to help through involved learning. STAC, delivers First Aid training to both public & private groups. We are the main dedicated First Aid Training Centre in the mid-west, where we run our course on a regular basis and never cancel. Public courses vary from half day CPR & AED courses, full day Basic First Aid and three day Occupational First Aid QQI certified. We deliver private group course to wide variety of groups, crèche staff, sports clubs, school staff, manufacturing facilities, chemical plants, amongst others. Our instructors are full time professional instructors, highly trained in adult education to ensure every students learning needs are met. We strongly believe that by using our knowlege to spread lifesaving skills we can have a very positive impact on people’s lives and in the wider community. Our customers believe this also, and tell use so on many occasions. Simple skills really can make a difference in difficult situations. STAC has five cases of lives saved by the work we do, this is the reason we all get up in the morning, to help equip another group of people with the skills that can and do save lives.